Andy and Serena Ryan get their health coverage through the state's Obamacare exchange and are growing increasingly anxious about it. Serena Ryan, 31, who left her part-time job as a nurse in 2016 to care for and home-school the couple's two children, ages 5 and 3, calls the coverage a "blessing." Andy Ryan, 33, is a self-employed marketing consultant. "The health insurance has allowed us to live the way we want, to be at home with the kids and create our own business," Serena Ryan said. "We know we needed the coverage in case something happened, even though it's a big expense." But turmoil in the Affordable Care Act exchanges has the family "holding our breath," she said. In some states, including Delaware, insurers have announced that next year they will not participate in the exchanges, also called online marketplaces, that serve consumers who do not get insurance at work or through government programs, such as Medicare or Medicaid. The insurers blame financial losses and mounting uncertainty over federal funding and rules that govern the exchanges. For example, the Trump administration has not committed to continuing a program that reduces deductibles and copayments for some low-income families. The program reimbursed insurers $7 billion in 2016. Without the funds, insurers and analysts say, premiums could rise 15% to 20% on top of other proposed hikes. The ACA's uncertain fate in Congress has added to the concerns. In Delaware, two insurers offered coverage through the exchange over the past three years: Aetna and Highmark Blue Cross Blue Shield, a Pennsylvania-based company. But Aetna announced last month that it was dropping out of the Delaware exchange in 2018. That could make Delaware the seventh state with only one insurer in its exchange. The others are Alabama, Alaska, Oklahoma, Nebraska, South Carolina and Wyoming. And 11 states are down to just two insurers. In addition, portions of some states face the prospect of having no insurer in 2018. "Going down to one insurer is a challenging situation for sure," said Trinidad Navarro, Delaware's insurance commissioner. "Competition makes a difference, and the current administration in Washington is not making things any easier. 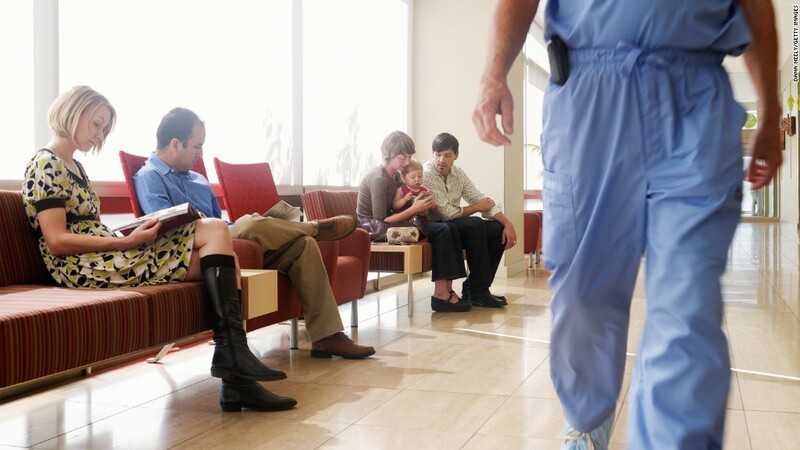 We expect Highmark to request significant premium increases for 2018." A study released last month by the Urban Institute, a nonpartisan research group in Washington D.C., found premiums increased from 2016 to 2017 an average of nearly 30% in states with one insurer, 26% in states with two insurers and just 5% in states with six or more insurers. Anticipating tough negotiations with Highmark over the company's initial rate requests, which are due June 9, Navarro said he'll order an assessment of the request by outside experts in addition to the state's own review. "We will fight hard for our consumers," Navarro said. He's also trying to attract other insurers to Delaware. Like millions of other Americans, the Ryans say the cost of their health insurance is a major consideration. It factors into their earning and spending decisions. Their family coverage costs $1,363 a month, but they get a subsidy of $959, making their monthly payment $404, up from their 2016 premium of $248 a month. Their deductible is $3,000. If their income were, say, $90,000 instead of the $50,000 to $60,000 it has been, they would have to pay more toward the full premium. "We need to pay our bills and want to live comfortably, but we can't afford almost $1,500 a month for insurance," said Andy Ryan. 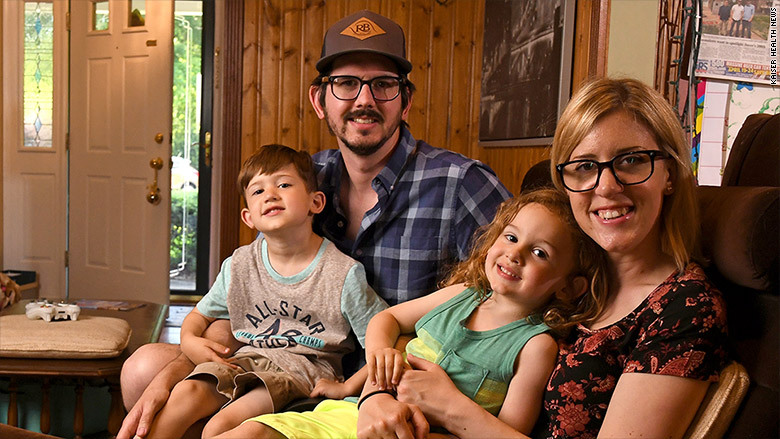 Because of health insurance costs, Delaware residents Andy and Serena Ryan are putting off having a third child. With the uncertainty over insurance, the Ryans also recently decided to put off having a third child. "If we end up having to choose a plan with a $4,000 or $5,000 deductible, having a baby will mostly or totally be an out-of-pocket expense," said Serena Ryan. "We can't afford that right now, and maybe never." Cameron and Lori Llewellyn, also of Dover, face health insurance troubles, too. But it's not the first time. Cameron is a self-employed construction contractor. In 2015, the cost of the Aetna coverage they bought on the individual market ballooned from $527 a month in 2014 to $1,200 a month with a $6,000 deductible. Lori Llewellyn, now 41, who had been home with their two children, decided to go back to work 18 months ago, in part to get job-based health coverage. "Everything kind of doubled, and it happened at a bad time financially," she said. "So I went back to work." Cameron Llewellyn's company has thrived, so his wife is leaving the workplace for now. But he makes too much money to qualify for a subsidy on the ACA insurance exchange, so they will have to cover the full cost of insurance. "I don't know what we're going to do now," Cameron Llewellyn said. "We know it's going to be very expensive." He said the couple will look at plans with really high deductibles through the exchange, but also check out options such as insurance through building trade organizations or through a broker outside of the exchanges. "I tell you one thing," Cameron Llewellyn said, "I know we need coverage. But if we're stuck paying $15,000 a year for insurance with a $10,000 deductible, I'm going to seriously consider just banking that money and going without [it]."